“You know, what I don’t understand about it is they’re [the media] all card-carrying liberals. I’ve listened to the audio from that excerpt several times now, and every time I hear it, I’m bothered a little more. Why? 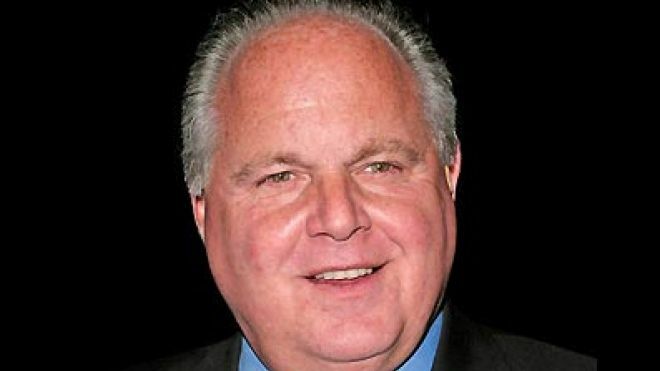 Because Rush is assuming something about pro-abortion-choice people that is very rarely true. OF COURSE abortion advocates are bothered by the murder of two-year-old Caylee Anthony. Everyone is! Here is something pro-life people have common ground with virtually the entire planet on: it’s wrong to murder two-year-old girls. What most abortion advocates disagree with pro-life people on is whether the preborn are valuable human beings in the same way that Caylee was. To say that abortion advocates are inconsistent by feeling outrage over Caylee Anthony’s murder and not about abortion is the ultimate example of an informal logical fallacy called “begging the question,” or assuming what you’re trying to prove. Yes, it’s inconsistent IF the preborn are valuable human beings like you and I, which is exactly what I believe and defend. But most abortion advocates currently disagree. They think the preborn is more comparable to a mole or a tumor that, if allowed to live, will eventually become a full human being, but not until that being has the present capacity to exhibit one or more functions, like consciousness, viability or breathing oxygen through the lungs. It makes perfect sense for them to feel outrage over Caylee’s murder and not about the killing of a bunch of pre-human moles, and if I thought that the preborn were merely pre-human moles, I would agree with them! There would be a HUGE difference between removing a pre-human mole and murdering a two-year-old girl! On a side note, there’s a smaller segment of the pro-abortion-choice movement that believes the preborn ARE full human beings like you and me, but that they’re unique dependency on the mother’s body is what gives the mother the right to abort, to protect her bodily integrity. We need to be prepared to dialogue with these people too, but the Casey Anthony story doesn’t apply to them either. They would say that if Casey Anthony indeed did kill her daughter, it would have been morally wrong because her daughter (Caylee) was not dependent on Casey’s body in the same way she was as an embryo or fetus. Thus, I’m focusing on the larger segment of pro-abortion-choice people in this article, who also believe that the preborn is not like you and me, but more comparable to a tooth right before it’s pulled by a dentist. I think there IS a way to use Caylee’s story while talking about abortion, without begging the question. I’ll demonstrate question begging first, and then what I believe is a more appropriate method. Me: Did you hear about the Caylee Anthony story? Abortion Advocate: Yeah, isn’t that horrible? Me: Absolutely. It was really difficult to hear the details of that case. Abortion Advocate: Yeah, it’s tragic how many stories are out there about parents going crazy and killing their kids. Me: Totally. But you believe in a woman’s right to have an abortion, don’t you? Me: Then it’s inconsistent for you to say that what happened to Caylee Anthony was horrible, because you’re for the killing of 3,300 pre-toddlers every day! Me: Yeah, because obviously there’s no good difference between a born toddler and a preborn embryo, so you have to either be fine with killing both, or you’ll want to protect both. You can’t have it both ways. Abortion Advocate: I don’t want to talk to you anymore. Me: Yeah, as someone who is pro-life, I’m particularly concerned about that. Abortion Advocate: What do you mean? Me: Well, I think that children are being killed by their parents a lot more often than we hear about, because I believe that preborn humans are just as valuable as born humans. Abortion Advocate: Why would you think that? Fetuses are nothing like toddlers. Me: Yeah, it may sound weird at first if you haven’t thought about it before, but here’s my case. We know from the science of embryology that after the fertilization process is over, the result is a unique, individual, whole human being that is biologically alive. (For example, it’s growing, and dead things don’t grow.) We also know that being is a member of the human species because humans beget humans, but I believe a third thing too: I believe that this living human is valuable. Me: I believe all humans are intrinsically valuable, and have basic rights, regardless of how much we benefit society. In fact, I’m not sure we can make sense of the idea of “equal human rights” unless you agree with that. Many pro-choice people think that all humans are equally valuable after they’re born, or once they’re conscious, or viable, or exhibits one of several other functions. But I think we’re valuable even before we can do things like live on our own, and have conscious awareness. Abortion Advocate: You’re losing me. Why can’t consciousness be what makes you valuable? My own consciousness sure is valuable to me! Me: Definitely! But think of the ramifications of basing the value of a human being on consciousness. It’s true that the preborn aren’t conscious, at least not in the way most people use the term. But neither are newborns. Nor are one-month old infants, for that matter. So if the present capacity to be consciously aware is really what gives humans the right to life, there would be nothing wrong with killing infants that are not yet conscious either. Abortion Advocate: Well, I know I’m against that! Me: Yeah, me too! So, because I believe the preborn qualify as full human beings like you and me, I’m deeply concerned that more than 3,000 children a day are being killed, and yet most people aren’t as outraged about that as they are about Caylee Anthony, because while everyone agrees that Caylee was fully human, many don’t agree that the preborn are fully human. But I believe all humans are equally valuable, and that we shouldn’t discriminate against humans based on race, ethnicity or gender, nor should we discriminate based on size, level of development, environment, or degree of dependency. Abortion Advocate: I’m not sure that I agree with your case, but let me chew on it a while. Me: That would be fine. Maybe I could buy you a cup of coffee in a few weeks and we can chat some more. I’ve been doing a lot of the talking today, and I’d love to learn more about your views on this subject. Abortion Advocate: That sounds great. Thanks! Yes, that was longer, but I never begged the question either. I made a case for the humanity of the preborn, and then explained why I think Caylee Anthony is comparable to the preborn, even though she was older and able to do many more things functionally than the preborn can. One final warning to pro-life advocates: If you do use Caylee’s story to talk about abortion right now, you’re in danger of appearing to some like you’re trying to hijack a horrific story about a dead toddler in an attempt to push an agenda. Imagine a pro-life organization that put out a press release on September 11, 2001 saying, “did you know that more unborn babies die from abortion every day than people that died in the twin towers this morning?” I make that point when talking about abortion statistics during presentations today, to give those numbers more meaning, but if I did that on the day those 3,000 people in the World Trade Center died, it would have been seen by many as a cheap, political bait-and-switch. Be mindful about the way you talk about this story, and to whom. While I think it’s unfair to criticize abortion advocates for seeming inconsistent for being outraged about Caylee Anthony and not abortion, I DO think that the same criticism can be made of pro-life people that are more outraged about Caylee Anthony than abortion. I think many pro-life advocates hear horrific stories like this one or what happened to Laci and Connor Peterson, and understandably express outrage. But did you know that in 2008, the same year Caylee was killed, 94,360 unborn children also lost their lives in the state of Florida? Do you feel just as upset about their deaths? What about the thousands of preborn human beings that are being slaughtered today in abortion facilities across the country? How about tomorrow? Think of the young human beings that are alive today whose hearts will stop beating tomorrow because their heart got sucked down a tube and into a plastic cup along with the rest of their body parts. Are they deserving of the same outrage, even though their manner of death is currently legal? The days of being “pro-life in name only” are over. We need people to stand up and do something about this. We need people to educate themselves, at least enough to make a clear and concise defense of the pro-life position. We need those people to be talking to the pro-choice people around them. We need those people to be praying and counseling outside of abortion facilities, being the last hope for the preborn children at that clinic. We need those people to give money generously to groups that are putting on big projects to protect the preborn. We need those people to vote for life on Election Day. Because no matter how outraged you are about Caylee Anthony’s murder today, 3,300 other human beings will be killed tomorrow. Josh Brahm is the Director of Education at Right to Life of Central California’s Fresno/Madera office, and host of “Life Report: Pro-Life Talk | Real World Answers.” Get more of Josh’s unique perspectives on pro-life topics at www.ProLifePodcast.net.